When it comes to fashion I have always believed in preparation because it is just so much easier to get ready when you know what you are wearing to work or an event before hand. I take a similar approach when it comes to seasonal clothing. Don't get me wrong, I have had a great summer so far and I hope it never ends however I am already starting to prepare my wardrobe for the upcoming fall. 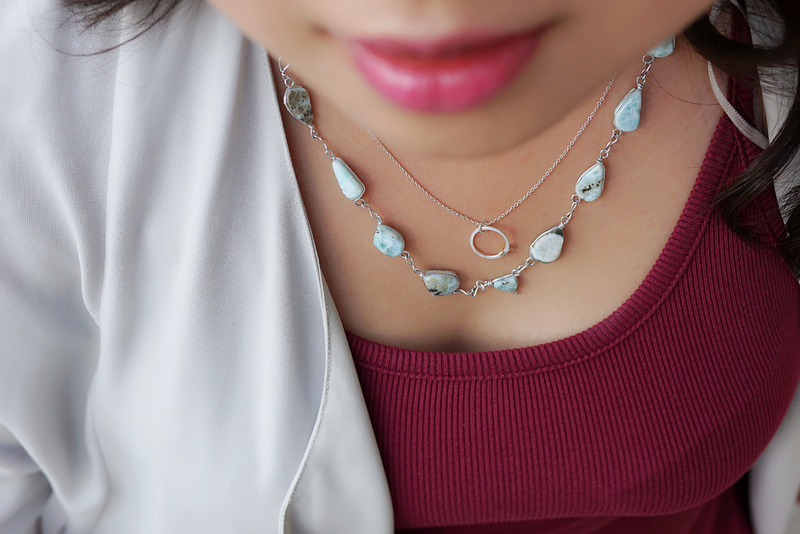 This week's look features one of my go-to colours: Bordeaux. This rich wine colour comes in many different fabrics and goes well with several different body types and skin tones. I've paired my dress with a sleek, lightweight trench which is handy for the cool autumn mornings and I completed the look with a killer pair of heels. Whether I'm enjoying summer on a rooftop patio, or gearing up for an autumn morning, this look will have you ready for anything.